Anna trying the big-girl ballet class. 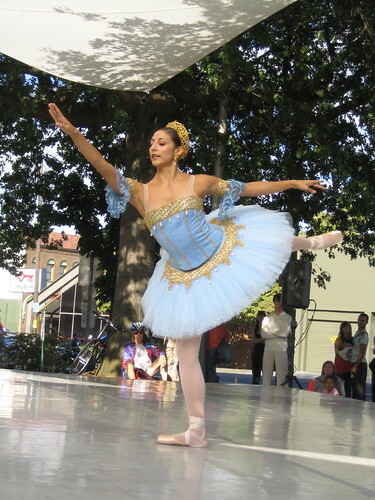 Last weekend, Oregon Ballet Theatre (OBT) put on Fall.ART.Live, a day-long festival with loads of free classes and performances. Since Anna has entered her princess-fairy-ballerina phase (see my previous post! ), it seemed like a great way to spend the day. 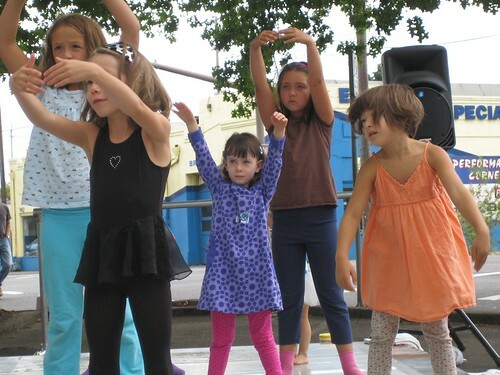 Initially shy to jump on stage with the 4-6 year olds for a ballet class, Anna finally decided to try it with the 6-9 year old group. 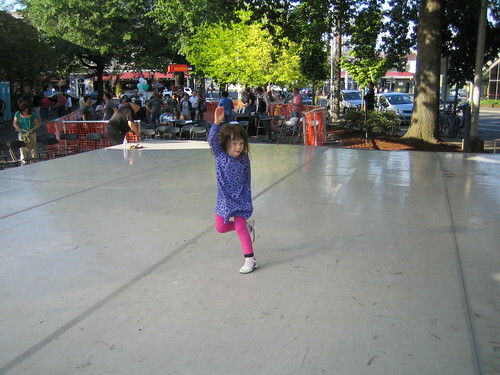 The real fun for her, however, was clearly the “movement theatre” class by the folks at Do Jump. These classes are now definitely going to be included in our fall plans. We also got to see a variety of short ballet and modern dance performances by OBT, Metro Dancers, and the amazing Polaris Dance Theatre. I am so grateful that Portland has such great arts organizations, and that they're so committed to arts outreach and education. 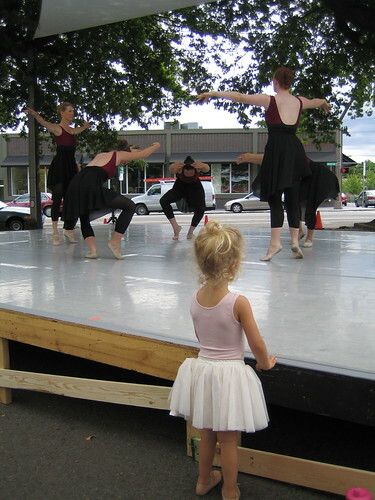 A future ballerina watching the Metro Dancers. A mama and her tiny ballerina watching the performance. A ballerina from OBT. She was Anna's favorite, natch! 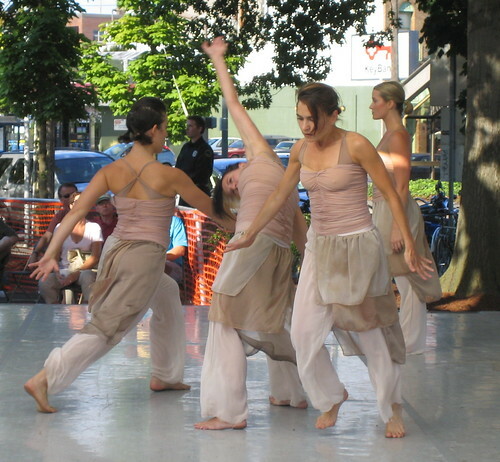 I just loved the juxtaposition of this new babe and mama with the dancers from Polaris Dance Theatre. It just felt so very Portland. 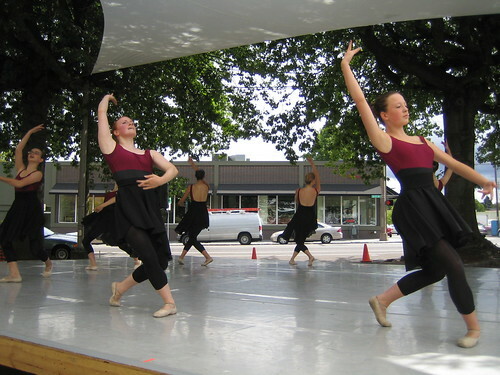 Polaris Dance Theatre doing one of the four dances they performed. They were really incredible. Little Miss, finally ready to take the stage at the end of the day!